There is a place on Fire Island in the wilderness area of the National Seashore called Old Inlet. It lies just about 2 miles west of the Ranger Station at Smith Point. The reference to old inlet comes from the fact that many years ago there was an inlet at that point. 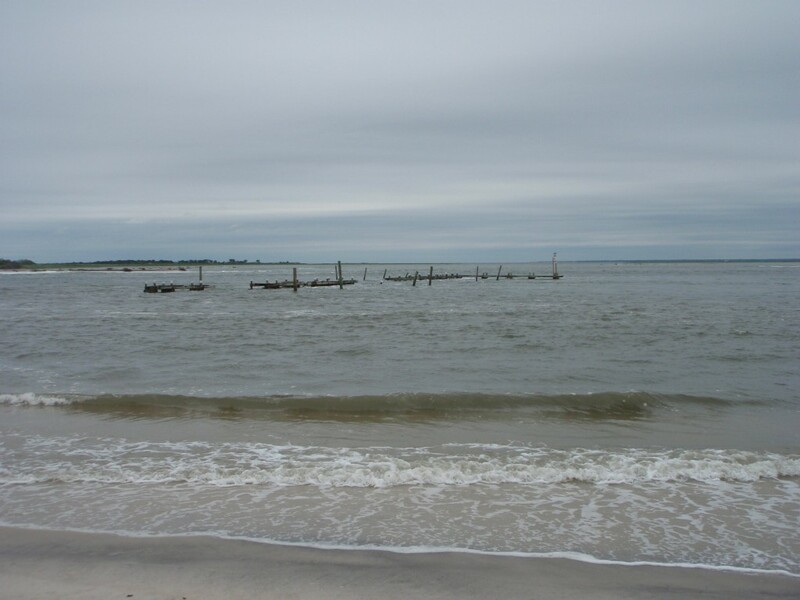 It fed water from the Atlantic Ocean into Bellport Bay on every tidal exchange. 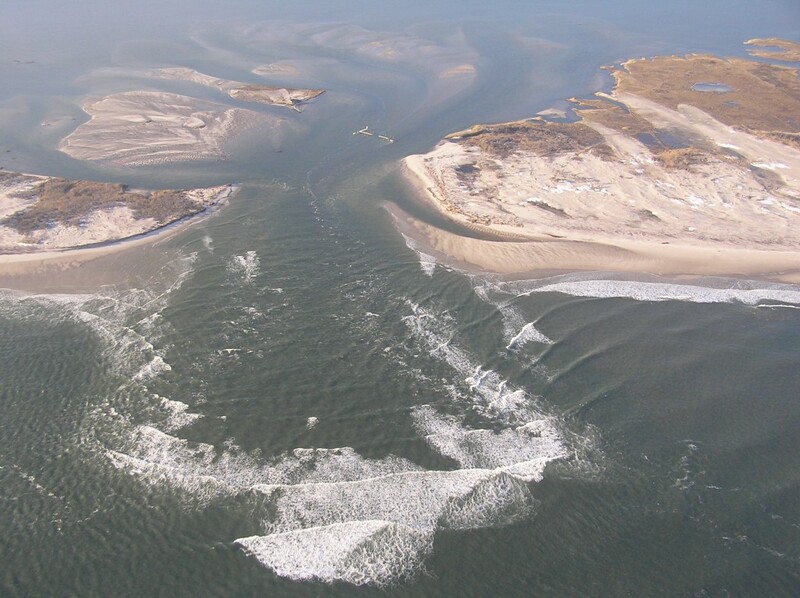 In October of 2012 superstorm Sandy turned the Old Inlet area into “New” Inlet. NACK paddlers have visited the area several times since the storm. This past Thursday, despite strong winds and overcast skies they again ventured out. The Old Inlet Dock and Boardwalk sits in the middle of the inlet. In the background Pelican Island is gone. 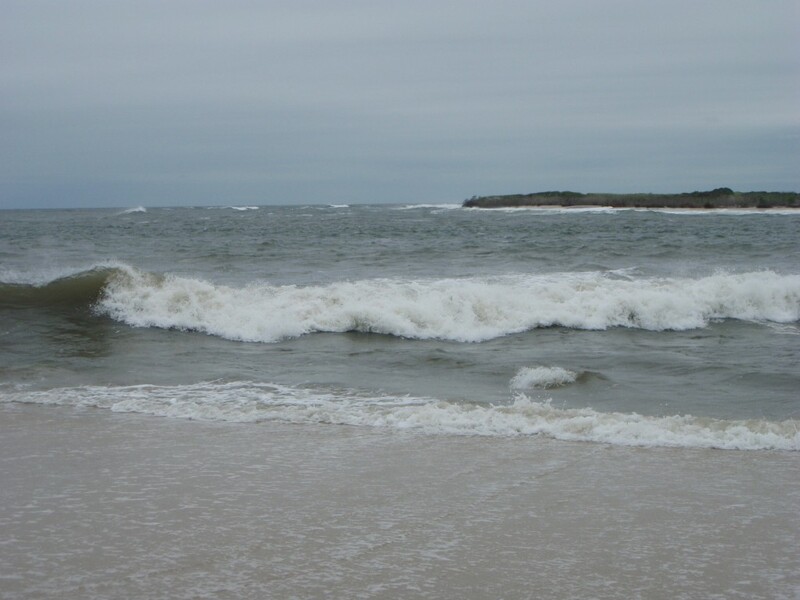 Waves crash the western shore of the inlet that is now several hundred yards wide. 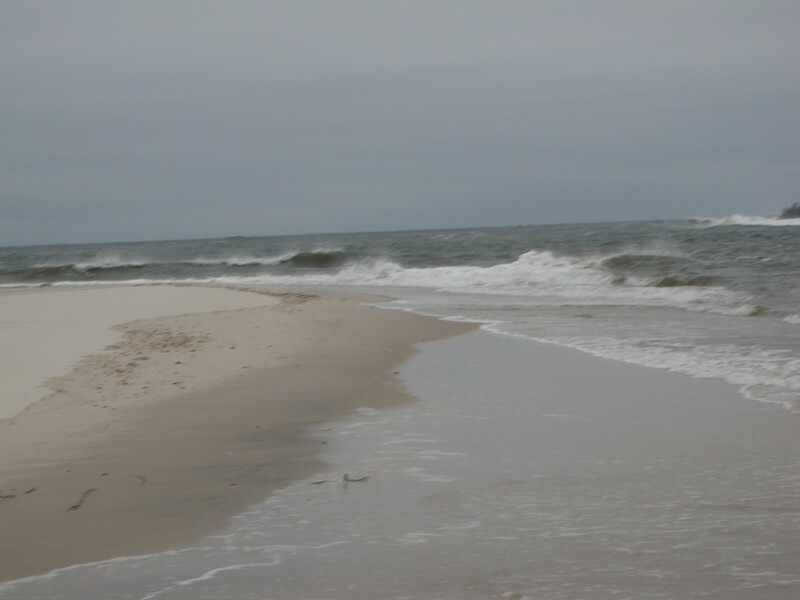 Standing on the shore one can only imagine the fury of the storm that broke through Fire Island to permit the Atlantic to reclaim it’s access to the Great South Bay. Great pictures and write-up, thanks for explaining and showing it so well.